The Göreme Valley and Rock Sites of Cappadocia (Kapadokya in Turkish) are on the elite list of UNESCO World Heritage Sites. Sculpted by millions of years of erosion, the magical volcanic landscapes are unlike any other place on the planet. Seriously. I know it’s cliche to say, but I found myself at a loss for words. Trying to capture the beauty of Cappadocia and its mysterious fairy chimneys is difficult at best, so let’s skip the overused adjectives and jump to the photos instead! Quite possibly the best views in the world? 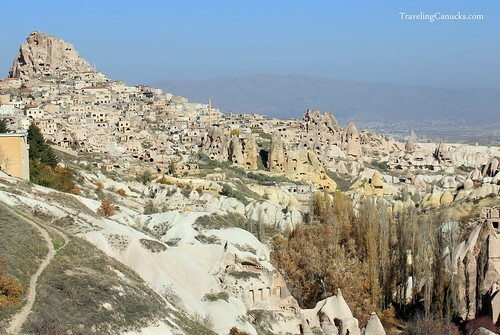 The beautiful city of Göreme nestled in the eroded Göreme Valley. Göreme Castle towering over the dense city below. 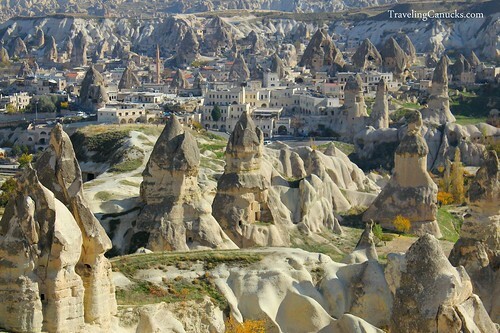 city is literally carved out of the peculiar rock formations. Stunning panorama from the Göreme viewpoint. 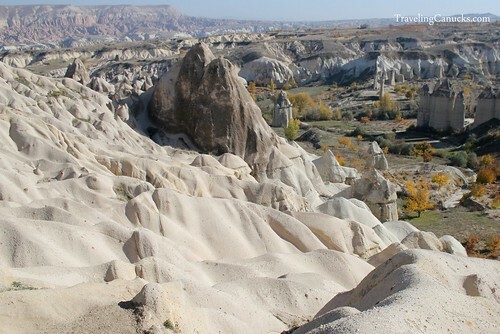 The “unique” rock formations at “Love Valley”, located just outside the city of Göreme. 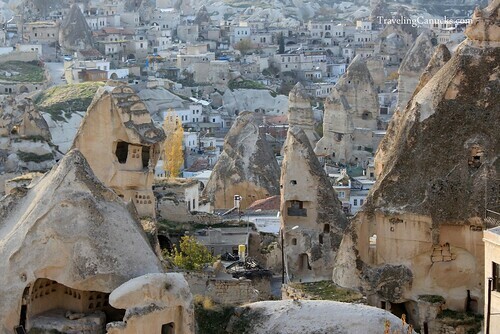 Fairy chimneys and Cave Hotels in the city of Göreme. An empty makeshift cafe perfectly situated on the edge of wonderland. The ancient city of Çavuşin, a UNESCO World Heritage Site. I wonder why do they call it “Love Valley”? 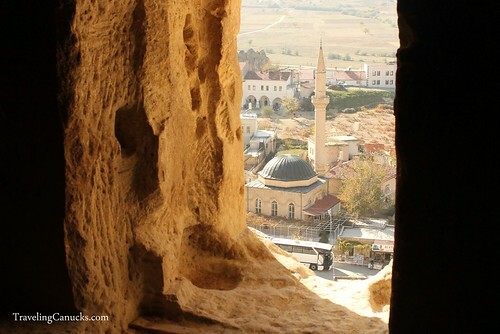 Views of a local mosque from inside an ancient cave church in the historical city of Çavuşin. 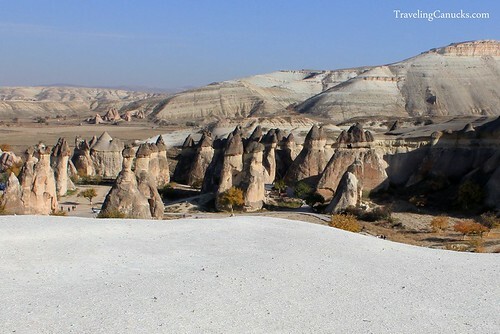 Spectacular landscapes in Cappadocia. It’s unlike any other place on earth! 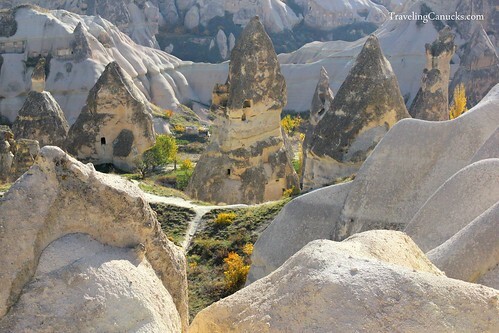 The magical fairy chimneys in the Göreme Valley. They look like something you’d see in a Saturday morning cartoon! 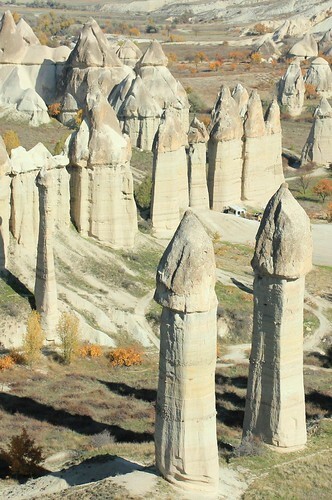 Fairy chimneys in the Zelve Valley of Cappadocia. The abandoned city of Çavuşin carved into the dramatic valley. After a while, the enchanting fairy chimneys come to life with personality. 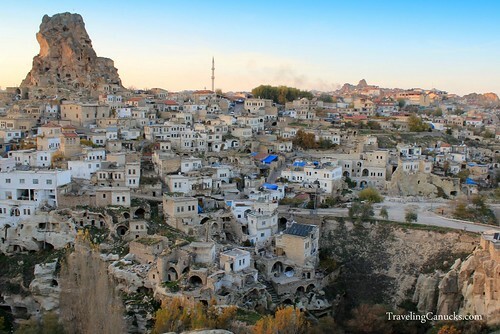 a town near Goreme and Urgup in Cappadocia. 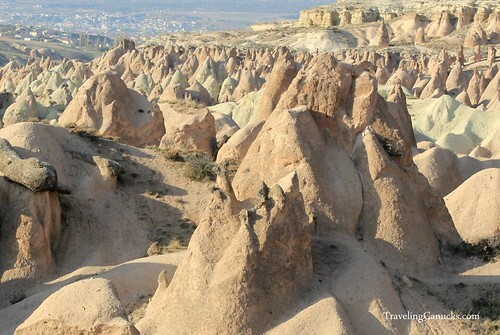 but nothing compares to the geological formations of Cappadocia. 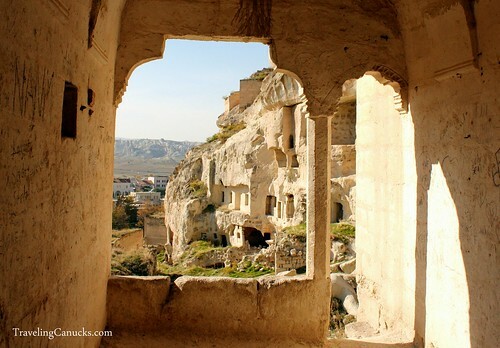 Exploring the historical cave city of Çavuşin in the Cappadocia Valley. 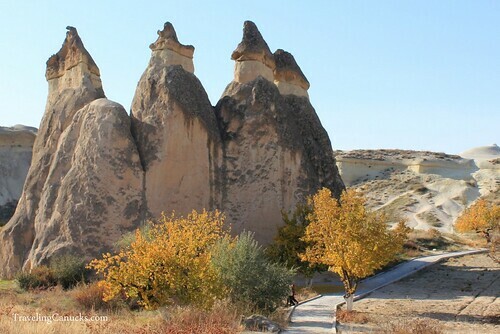 Gigantic fairy chimneys in the Zelve Valley near Çavuşin. 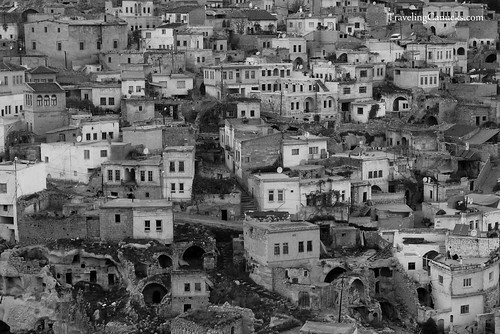 Black and White picture of town of Ortahisar, which means middle fortress in Turkish. 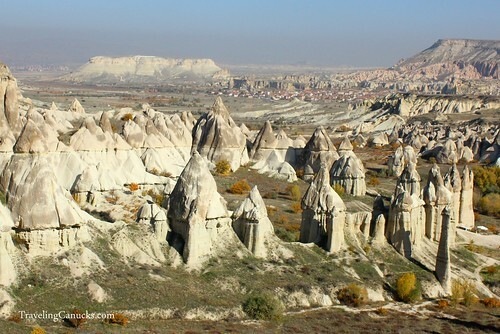 Never-ending prehistoric landscapes of Cappadocia. Göreme illuminated at night. The soothing Call to Prayer echoes across the valley from the tall single minaret at the mosque, adding to the captivating atmosphere. 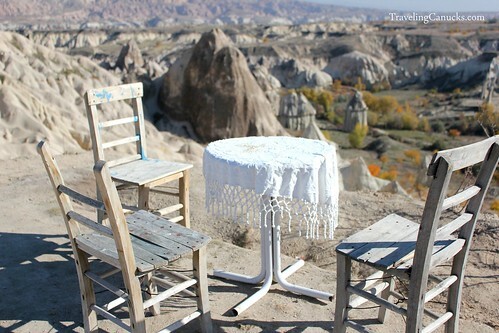 Have you visited the Goreme Valley in Cappadocia? What did you think of the fairy chimneys? Jeremy – I’m not the most educated on Cappadocia’s geology, but I do know that a massive volcano eruption millions of years ago deposited the rock. Then, millions of years of erosion sculped the fairy chimneys out of the rock – quite the natural phenomenon! 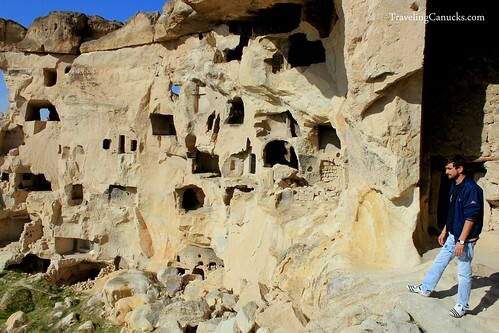 Over 1000 years ago the rocky landscapes were carved out and became a fully functional city, kinda like the Flintstones! Very interesting place. I have been reading about this city via another blogger’s website (Julia and Yuri) and I am amazed that a place I have never heard of can sound this amazing. Hands down just got bumped to the top of my travel list! Stunning photographs; what a beautiful place! I have visited in the summer. It’s mind boggling. Your pictures are far better than mine, I enjoyed them a lot. Wow! Cappadocia is beautiful! How come I didn’t know about this place before?! Oh, I need to spend a lot of time in Turkey! That’s what I said! It’s such an amazing place, I can’t believe it’s not a travel staple. 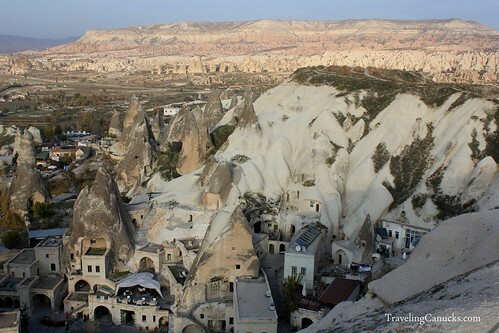 Wow, Göreme looks simply out of this world like a movie set! That’s the fun part about RTW travelers unlike me who focuses in Southeast Asia. Sometimes… I wish I could get the backpack back on! It does look like a movie set, doesn’t it?! Kinda like a fictional world. WOW. I had no idea. OKay so yesterday I saw someones photos from a trip to Nepal, and that moved way up on my list. 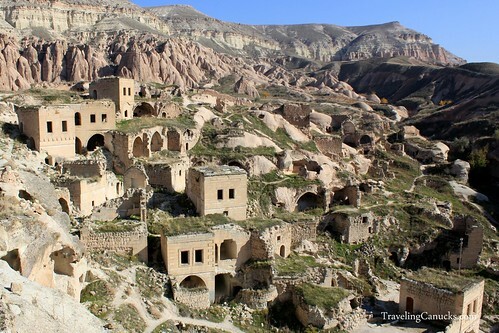 Today I see your pictures and now Cappadocia Turkey is up on my list!!! These are fantastic! I can only image what it was like to stand there and see those sites before my very eyes. The rock formations are outstanding. In a way they remind me of the Stone Forrest in Yunnan Province of China, just more brown and a little less pointy haha. Great shots! Thanks for sharing them! i too had never heard of this place. so cool that the houses are built into the formations. i bet the bad joke list on “love valley” is several miles long! Great shots and thank you for sharing them with us! Wow, that is amazing! You’ve made my day with these photos! Incredible! Well done! Thanks! Glad you liked the photos – I had a great subject! Stunning!! I’ve never seen anything like this.. it’s so lovely! I want to go! I’ve seen “love valley” on the Jetpacker site but this is seriously beautiful! Great photos! I’d really like to sit at that little cafe and drink coffee and absorb the view. I’ve been reading so many interesting blog posts about Turkey. I think it’s been bumped way up my list too. You are true Ambassadors! Thanks! Yes – that little cafe (if you can call it that) was really neat. He sold traditional Turkish coffee and freshly squeezed fruit juices. We had the whole place to ourselves, it was awesome! These are great photos! This is one of my family’s favorite places to go in Turkey. Looking forward to checking out your post on the Hot Air Balloons as well. That is an unforgettable experience! Couldn’t agree more! It’s rare that tourist destinations exceed expectations – Cappadocia is one of those special places that must be experienced firsthand. Wow! It’s a landscape that doesn’t even look real! It’s like something you’d see in a SciFi movie, isn’t it?! Isn’t it? It was the strangest feeling when our bus turned the corner and there we were, in the middle of Mars! Gorgeous photos! You’ve inched Turkey even closer to the top of our list for return visits. Dramatic landscape indeed. One can easily spend hours pointing out imaginary animals and shapes with the rock formations, like watching clouds shape shift into faces. Even after 3 days of exploring I still feel like I didn’t have enough time! So gorgeous. I have always wanted to go to Cappadocia. There is this mystery and appeal that area seems to breathe. Thanks for sharing these. How have I never heard of this place? WOW! It remains me a little of Bryce Canyon in Utah, but even more beautiful. I heard of this place while ago, but never really bothered to look into whats so special about. The photos look amazing! Did you do the hot air balloon ride? Anywhere else you’d recommend in Turkey? Yes, we did the Hot Air Balloon and it was amazing! Highly recommend it. But it aint cheap so budget accordingly! Looks surreal and utterly fascinating! What is not to love about Love Valley? Hells yeah. Ha! I only recently heard about this place, but it’s quickly becoming one of my top destinations to visit. Thanks for sharing your photos! I really like how you think… It’s great when ever you get straight away to the real purpose. 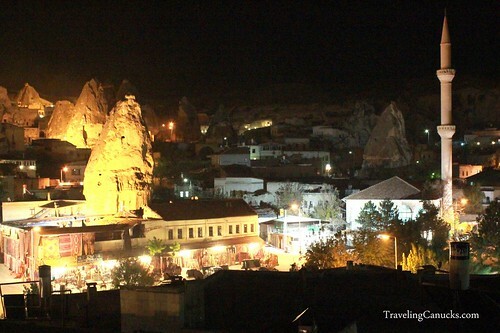 We really enjoyed your fantastic photos of Cappadocia and the video. We are heading there in Sept. and because of time restraints, (as always, you can’t do everything) I wondered what your priority list would be if one wanted to get the most unique collection of ‘fairy chimneys” and related structures for photographing…. (still and video)….. We will have about 5 hours left near the end of our trip. Red, Rose,Love, Pasabagi,Zelve,Pigeon or Goreme Open Air Museum. Thank you for any suggestions….we can’t wait to see it. PS. Çavuşin looks like a great place as well. Simply sensational photos. 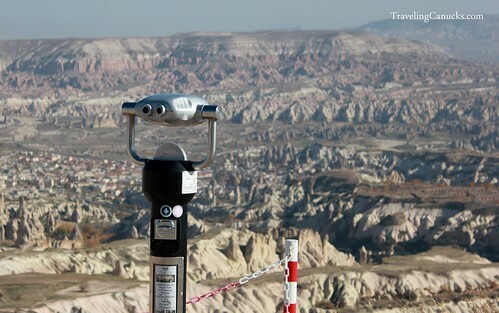 It really is a geological wonderland – one of my very favourite places in Turkey. The Byzantine churches are stunning and fascinating and some beautiful walks from Ihlara to Goreme. Great feature. Great photos- really captured the Goreme area well. 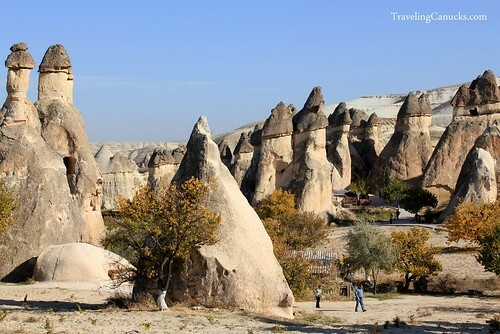 The fairy chimneys are a combination of volcanic rock on top and the softer “tufa” soil underneath. The two soils together with erosion is what caused the formations. I’m biased living here but I agree that Cappadocia is the best place in Turkey. If anyone is coming in the future, I’m happy to help and answer questions. I will be in Cappadocia in September. Can you please let me know where that first picture was taken (the one with the binoculars). Thanks!